It’s an invasion, boys! It’s time to jump into some sleek shorts like the Speedo Invasion Toddler Boys’ Aquashort and get out of here! With a midnight black leg and an accent leg with a crazy comic design in navy, these shorts are sure to be an instant favourite. 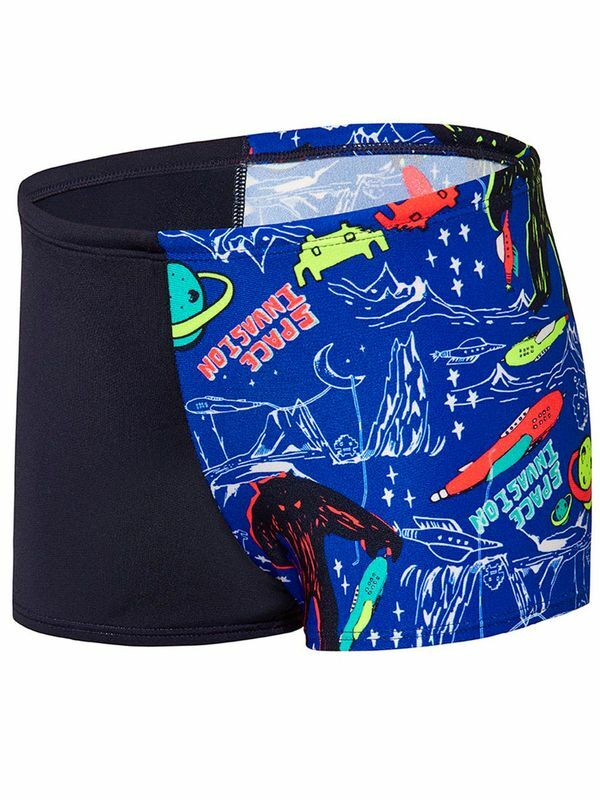 With a four-way stretch design that comfortably fits like a second skin, the Speedo Invasion Toddler Boys’ Aquashort gives nippers the freedom of movement that they need to fly across the pool at top speeds distraction-free! Thanks to its Endurance+ fabric and flawless construction, these shorts will stay looking and feeling perfect through countless swims. Invasion Toddler Boys Aquashorts manufactured by Speedo Swimwear the worlds leading swimwear brand. Speedo is passionate about life in and around the water, creating revolutionary new technologies, designs and innovations.